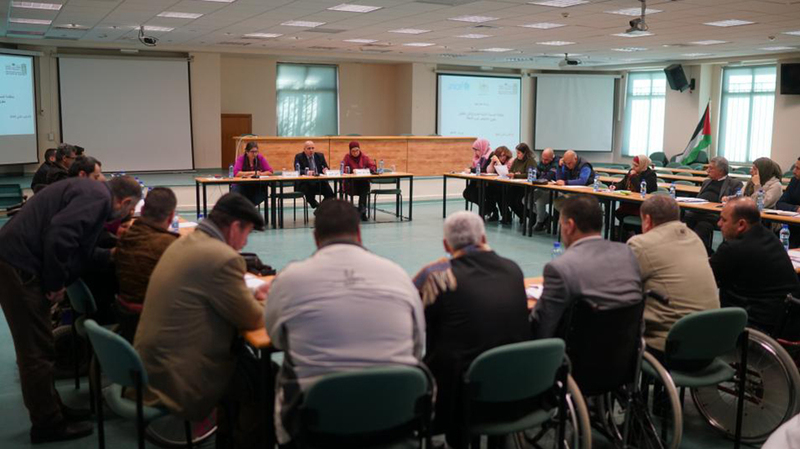 Representatives from over 80 disability rights organizations in the West Bank and Gaza discussed the preliminary draft of the law by decree on the rights of people with disabilities in two workshops organized by the Institute of Law at Birzeit University, on January 23 and 24, 2019. The workshops, held together with the Ministry of Social Development in both the West Bank and the Gaza Strip, featured legal experts and researchers, disability rights activists, and government representatives, who examined the preliminary draft and gave their opinions - each according to their areas of specialization. The Institute of Law, in cooperation with UNICEF, has led an initiative to draft a law that secures the rights of people with disabilities in Palestine, with regular consultations and workshops held with relevant experts, researchers, and government officials.